Keith Titanium Ultra-light Multifunctional Cooker is made of pure titanium. 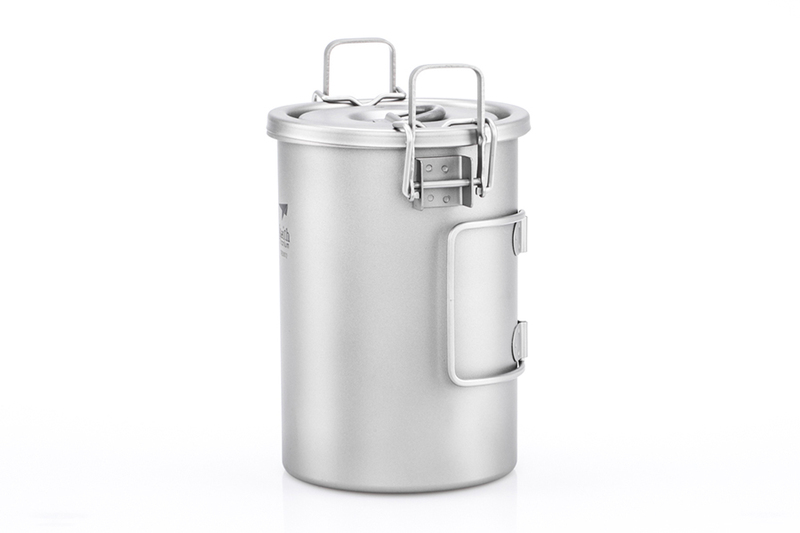 Its creative nesting double-pot structure seals the 105°C multi-flow steam circulating inside, heating through every piece of the rice evenly and thoroughly, resulting in tender, soft rice full of aroma every time in the backcountry. 1. The fully cooked entrée is left in the inner pot, completely separated from the outer pot, which can be used immediately as an independent pot for soup, or any other food. 2. The steam holes pattern on the inner pot is based on repeated field tests on varying high altitude regions, which contribute strength to maximize the fuel efficiency and minimize the cooking time. 3. There are three rice amount indicators on the inner pot and each of them are matched by a water level indicator individually. 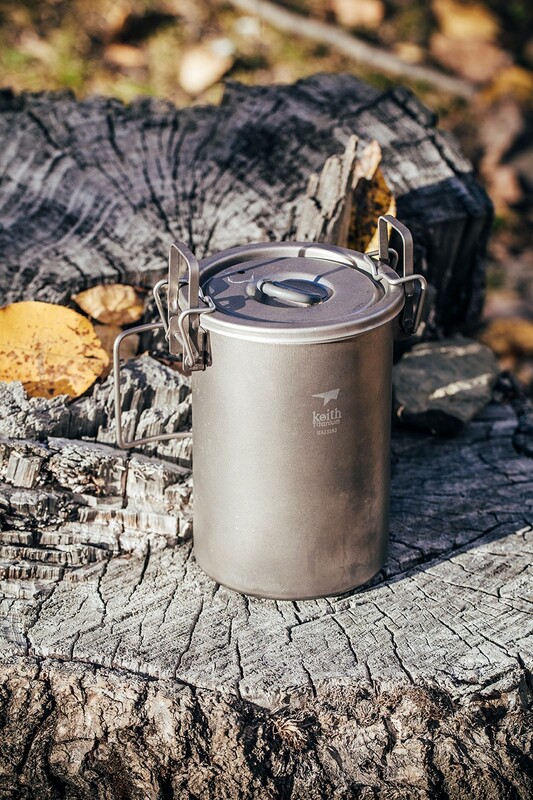 This user-friendly design guarantee that even a beginner is able to easily cook perfect rice in the backcountry following the very straightforward instruction. 4. Titanium is ultralight and super strong; it is eco-friendly, biocompatible and bacteria inhibitive; it is also extraordinarily hypoallergenic and exceptionally corrosion-resistant. Certainly this ultra-light multifunctional pressure cooker is a perfect solution for outdoor common cooking problem, such as undercooking, scorching and bottom-sticking, etc., especially in high altitude regions with low pressure and lack of oxygen. This pressure cooker is tough, eco-friendly, ultra-light, multifunctional. 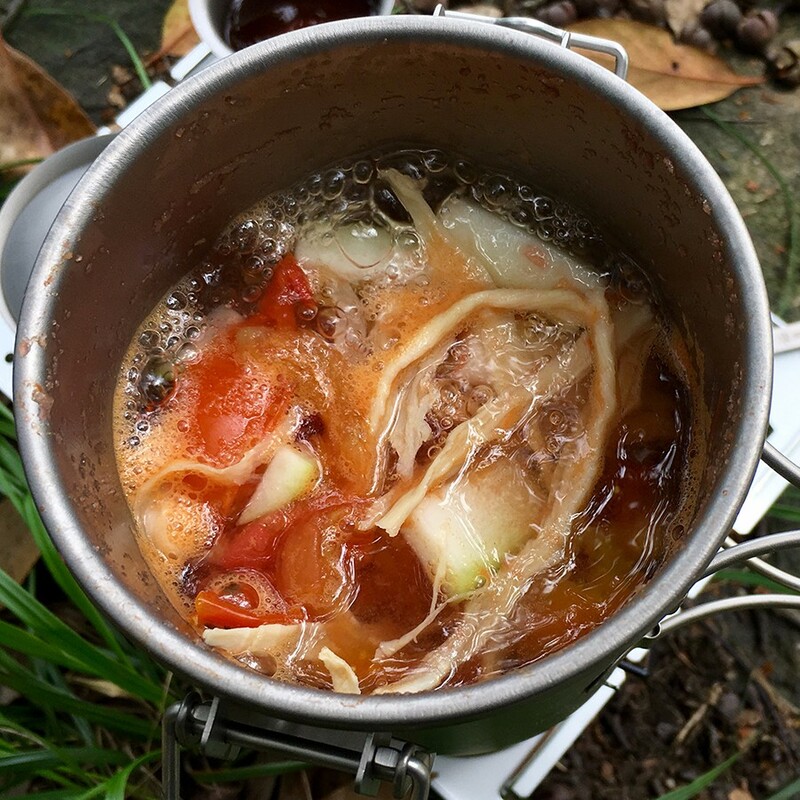 It serves healthy, perfectly cooked food for both new outdoor adventurers and seasoned professionals anywhere, every time. 1.The cooker can be heated over a flame as well as on an induction, gas or electric cooktop. 2.The unique characteristics of titanium make it safe to add salt and flavoring to your liking before cooking. 3.Add rice to the desired amount. 4.Add water slowly and let it migrate through the rice and drip into the outer pot. Keep filling until you get the right water level. Wait half minute and check the water level again. Add a little bit more water if it is needed. 5.Both water level indicator and rice indicator are for general guide only. Adjust amounts of both rice and water accordingly for different types of rice. 6.Place the cooker over medium heat until boiling. Then turn to low and keep heating for 15 - 25 minutes. Cooking time varies with altitude. Do not boil dry. 7.This cooker is multifunctional. It can be used not only to cook rice, boil water and make soup, but also to steam and stir fry meat and vegetables.